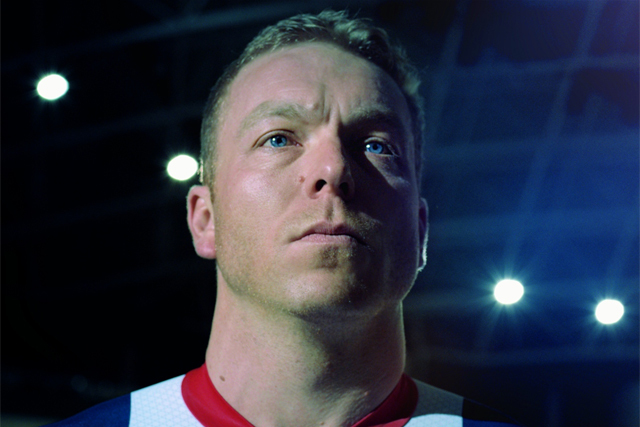 Cycling legend Sir Chris Hoy is to front a campaign to promote Nissan's sponsorship of Team GB and ParalympicsGB. The car brand has recruited Hoy and Paralympics gold medallist Richard Whitehead to help mentor the next generation of British athletes in the build-up to the 2016 Games in Rio. The #UniteAndExcite campaign kicks off with a dramatic cinema ad (below) comparing Hoy’s track exploits with Nissan’s innovative use of technology. Subsequent content will feature Hoy and Whitehead, as well as other athletes, working with rising stars. Guillaume Masurel, Nissan GB marketing director, said: "We are excited to be launching our #UniteandExcite campaign ahead of the forthcoming Sochi Winter Games laying out our commitment to supporting Team GB and ParalympicsGB over the next two-and-a-half years. "We are delighted to be working in partnership with [Hoy and Whitehead] to mentor and develop Britain’s most promising athletes on the road to Rio." Hoy said: "Nissan is famed for its innovation and excitement and its #UniteAndExcite campaign will make the thrill of the Games more accessible to the British public, whilst Nissan’s innovation support will mean a huge amount for the athletes throughout their preparations for Rio 2016." Whitehead said: "I’m thrilled to be part of Nissan’s plans and as I still have my own aspirations for Rio 2016 I’m looking forward to working closely with Nissan through to 2016." Nissan is official automotive partner of Team GB and ParalympicsGB.